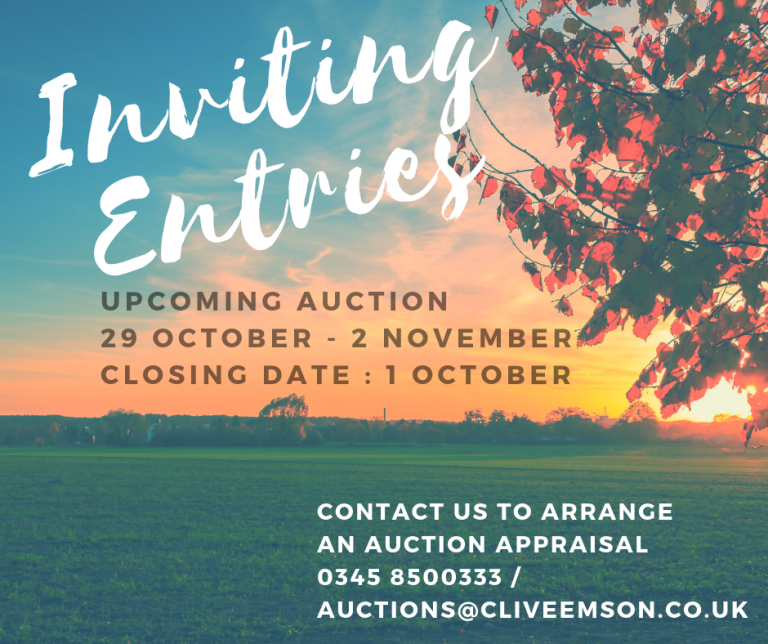 We are now inviting entries for the October/November auction. If you would like to arrange an auction appraisal please contact us on 0345 8500333 or complete our online form. The closing date for entries is Monday 1st October. The catalogue for our October/November auction will be available online from Friday 5th October with the printed catalogue available from Tuesday 9th October. If you would like to arrange for a catalogue to be posted to you upon publication please call our catalogue hotline 0330 024 1044. Is A Loft Conversion A Good Investment? Charity Auctions – It’s busy for Graham in the West Country!